I have Christmas cards on the brain my friends. 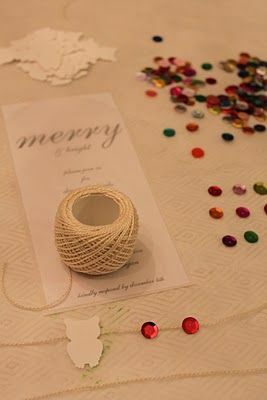 How about making really lovely cards like Lynda did over at Happenstance Home. 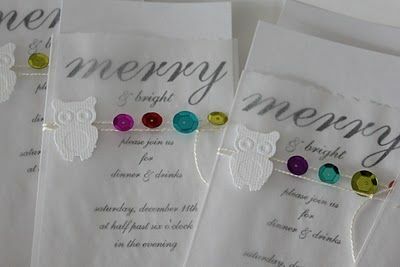 Her cards are actually invites to an event but I love the concept for family Christmas cards using a handful of single sequins. Step by step instructions can be found over here. Want a little sneaky peak of part of our family pictures..I really try hard not to take advantage of my good friend Michelle but I have to be honest I called her up on Monday and by Wednesday she had a location secured and pictures snapped. Thank you Michelle. I know I don't mention Michelle that often..haha..but if you need a really cool photographer then you just may want to consider her. She can be found over here. Well there is a handful of kids. BLove the handmade cards. Your family is so adorable! And i love your shoes! please hurry, I need to see more photos ASAP! Have a great weekend!! Besos! Oh my goodness - what a beautiful holiday card you have! I want to visit your neck of the woods and totally have a family portrait session! You always pick out the most wonderful outfits! Also, thank you so much for featuring my invites. That is so completely sweet of you! Hope you have a great weekend. I can't believe it's Friday! I love, love, LOVE your family photo. Is that the picture you are sending out with your Christmas Card? I mean really?! 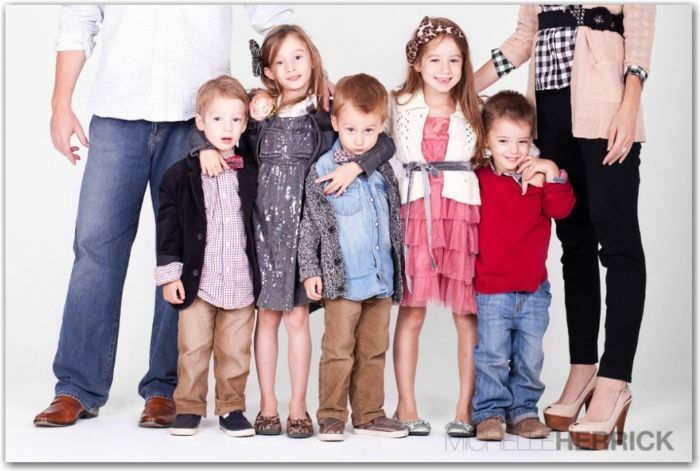 JCrew could not have even TRIED to get kids that well styled and adorable. I'm dying. I love it! I am smiling because I just wrote to Olivia and told her we were a Ross Dress for Less add...I was sort of being serious..not about the add part but the Ross part. Come to think of it all of our shoes, except husbands are from Ross. I love discount shopping. Thanks for all of the nice compliments. Most stylish Momma and family award goes to you! ohhhhhhh my gosh - how cute is that picture of you guys? seriously. p.s. i won't be at crafeteria tonight :( husband's work christmas party. Love your blog! Also the family portrait is super cute as I come from a large family too. Happy Holidays! i might die over your pics. over the top fabulous. Dang, you guys know how to take a great family photo. (You officially win on best holiday photo outfit). you so stinkin cute Christina!!! Hope to see your face sooner than later Love Richelle From old DB and BB! Looks like an ad for the cutest kids and cutest kids clothes! I love it!! sorry, i just have to comment again. did i mention that i freaking love this picture? will you please send me a christmas card??? i will send you my address. no seriously. LOVE your photo sneak peek!